As I promised a couple weeks ago, here is the scoop on the new Online CyberClass that is now open for registration. The process will begin mid-September. This class is designed to give heavy concentration to you personally and your particular and unique (possibly) dilemma on an issue that has caused you to put aside a canvas that you were once very excited about. You will need to be able to provide a photo of the particular area of a canvas(es) that is/are giving you trouble. 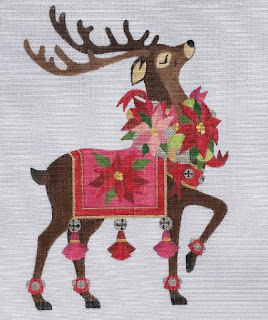 Those who have followed me for the last several years know that I take teaching seriously (but still have fun) and work to exhibit the benefits of being a certified Senior Master Teacher of Needlepoint through the American Needlepoint Guild. I feel my many years of experience through study and traveling about teaching enable me to provide you with some approaches you may not have considered. 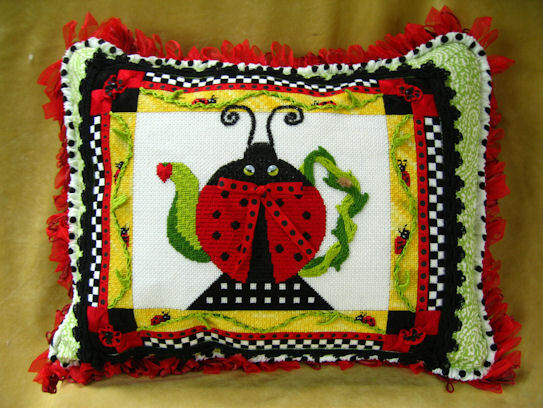 I would like for everyone to love the adventure of doing needlepoint - it should be a happy experience - not stressful or frustrating. Our purpose here is to make a concentrated effort of bringing that issue that may be causing you stress or frustration on a beloved canvas to a pleasant journey back on the road to recovery and finish! 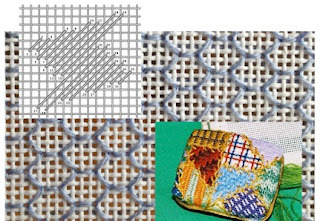 Additionally, we want to provide a different approach and add something exciting that might be a little out of the box from the regular basketweave and Gobelin stitches. Through these 6 months I will continue to strive to provide very detailed stitch guide illustrations and work with you to make sure that you understand the process and the technique. We will keep at it until you get it! If one way doesn't work for you or is not to your liking, we will find another approach. While it is a one-on-one concept, as promised, you will be able to eavesdrop on all that are participating - be that 5 or 15! So read the particulars of this endeavor and come join us. We would love to have you. Today, while working on some custom stitch guides, the thought occurred to me that there may be those of you out there who would benefit from some outside help every now and then. Then it also occurred to me that since many of you are experienced stitchers, you might want suggestions on just an isolated area. 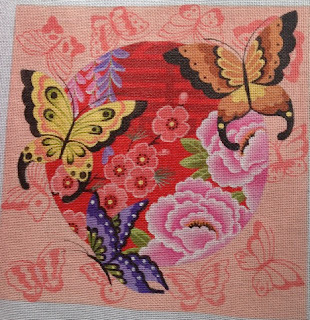 So instead of thinking in terms of a full stitch guide, how about periodic help here and there on different canvases? So birth was given to S.O.S. in Cyberspace! Stitching Our Stash. Instead of a set project, I am going to work through individual questions as they are presented to the group. Not only will the individual presenter garner this information, it will be available to all members of the secret group! The group will be set up as a secret Facebook Page as are all my other classes. In this environment we have the freedom to share ideas and questions without being judged. It will consist of a 6-month presentation period. Each member will be entitled to 6 specific stitching areas. You may present your questions all at once or one at a time - approximately monthly. If all 6 issues are presented at once, they will need to be prioritized in order for me to address your particular needs more efficiently, and they need to be posted timely - not at lesson 6! However, I will have the full 6-month period to address your issues so I will not be restricted to answering all your questions immediately. You will be given at least one response approximately each month. Responsive postings may be sporadic and not always on the same scheduled day from month to month. Questions can be something like stitching a roof, or a tree, or a dress, or hairdo, or small dog in a large design, or creek, or hill, etc. It is a specific area that is troubling you – not the entire canvas (that’s what stitch guides are for). For instance a 10” x10” picture of a dog head would not be a question – it would be a full stitch guide. It could still be presented, however, there would only be a total of 6 possibilities discussed – background, fur, stitch direction, etc. AND questions do not need to be on the same canvas. This game will begin on SEPTEMBER 15, 2015. Registration is now open until September 14, 2015. Once your registration payment has been processed you can send a picture of the area to be discussed. Now the beauty of the game is you get to share in everyone’s presentations through the secret Facebook Page! Additionally, even if you do not want to present a question, look how much you will get to enjoy and learn! Total cost of this 6-month packet is $200. The fee entitles you to your personalized 6 specific areas plus the benefit of all others posted as well. Think about it. We could be discussing between 5 and 15 stitch applications per month. For instance, Susie has an issue with hair. Everyone in the group can now put this suggestion away for future canvases or one they have in their stash working on and say – hmmm, that suggestion might work there! Mary Jo has an issue with backgrounds – we all have issues with backgrounds, so all other players could file the suggestions away in a background folder or file – just seeing the suggestions can trigger a thought of how to apply the suggestion to what you may have already struggled with. - Do I see a notebook in the making ??? I think this will be so exciting! What is required from you in this new game is patience! I'm working through the logistics as we go along. Also, private suggestions for game improvement will always be welcomed! 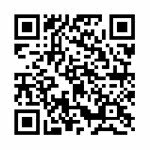 POSTING OF QUESTIONS: SEPTEMBER 15, 2015 THROUGH FEBRUARY/MARCH 15, 2016. Send email to duodesignsinc@yahoo.com stating your desire to join. Payment of fee will be required by September 14, 2015 to participate. It is anticipated that the first posting will be mid-September, 2015. I see this grouping as a total win-win! So much is happening at Duo Designs that I can hardly keep up with the excitement! Our successful Online Mystery Classes has just branched out! Duo Designs has been committed to offer 6 Online Mystery Classes per year - that is a new class every 2 months. We strive to offer a wide variety of classes because our student participants have a wonderful range of requirements and interests such as stitching ability and theme preference. A new request has come to our attention and it has resulted in the development of a new line of Online Mystery Classes. This new grouping of classes is called Special Interest Online Mystery Classes. What is that? A group of students approached me to do an Online Class of a specific canvas that they were interested in doing. Now this canvas may not have as wide an interest audience as the 'regular' Online Mystery Classes so that is how it became Special Interest. 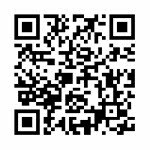 You too may request a Special Interest Online Mystery Class. The only requirement is that you find a total of 4 or more who will commit to the class and we will take it from there. Once the class is determined I will offer it up just like any other Online Class. Just keep in mind that 'Special Interest' means there may not be the larger number of enrollees as for the regular classes. (This class does not interfere with the schedule of the regular Online Mystery Classes.) Think of it as 'something extra'. 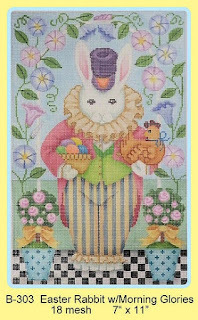 Now for the good news: The first Special Interest Online Mystery Class is going to be the fantastic Brenda Stofft Design Easter Rabbit with Morning Glories. Isn't he stately! Look at all the fun we are going to have with this guy. 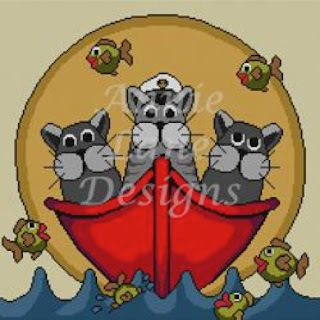 The design area is 7" x 11" with a cut canvas size of 11" x 15" for stretcher bars. The canvas ordering information is on the bottom of the picture and can be provided to your local needlepoint shop so they can order a canvas for you. Let me know if you need assistance. Registration will close for this class on November 15, 2015. The first class is scheduled to be posted mid-January 2016. The 6-lesson packet will be $150.00. Classes will take place on a secret Facebook Page. Once payment is processed, you will receive an invitation to the secret Facebook Page that you need to accept. There you will find your fellow participants, general information and the materials list when it is completed. There will also be a list of shops who have agreed to provide thread kits for those who do not have a LNS or who do not want to gather their own supplies. We wanted to share this information with you so that you could start planning for participating if interested. There are gift opportunities coming up before the class starts and there may be some trunk shows out there that you can take advantage of as well since most offer a purchase discount at the time of the showing. So think about this and start planning! Stay tuned as there are many more announcements in the future - like tomorrow! Also, be sure to scroll down and see the previews of some more exciting classes that are in the works! In the meanwhile, remember to stitch with a smile! PREPARING A WISH LIST ! Worried about what to do and how to occupy your time during those lazy hours around the pool leisurely sipping ice cold lemonade, or thinking ahead to those cold, wintry evenings in front of the fireplace with a cup of hot chocolate and marshmallows (or whatever)! Well, here is a little preview of what’s to come here for our ONLINE MYSTERY CLASSES! I haven’t placed them in exact chronological order as yet but they are close. S.O.S. in CYBERSPACE : This is to be released very soon. Like after Beijing Butterflies registration. This is going to be so fun and educational. I am very excited about this offering. It is an online embellishment class where you present your questions over a 6-month period. The greatest part of this class is that you get to share with your other classmates: all their questions and my responses as well. This class will be limited to 75 people – so while you are having your question addressed you can eavesdrop on up to 74 other questions and responses as well. Sounds to me like a notebook in the making. (Generally a minimum of 25 students has been the experience so far but I know this will push the limits – so indicate your interest early so I can put you on an ‘I’m interested’ list.) Full details will be coming within the next 2 weeks or so. ANNIE LANE - CATS IN A DINGHY : Okay, you have asked for Annie Lane and you have asked for Cats – so here they are. Now we’ll see how well you support the effort. Design area is approximately 11" x 11.25" on 18 ct. canvas. Golly, do you think there might be some needle felting on this one? How about bargello? I see metallics, padding, needle weaving, goodness only knows! MELISSA SHIRLEY: THANKSGIVING CRITTERS. Aren’t they cute? This is another piece that is just as much seasonal such as autumn/fall as it is for holiday. This can be displayed from the end of August through to the winter holidays no matter what the title label says. Well, we know just by looking at these little guys that we are going to have loads of fun with them! Felting, weaving, padding, brushing, beading, ooo, oooo, ooooo! Furry stuff, shiny stuff, round stuff, etc. PILLOWS COLLAGE – THE COLLECTION: This will be an extended class. It will be 6 lessons spread over a one-year period (give or take a few weeks) with one lesson being released every other month. Look at all the ‘stuff’ we can do! I just could not resist this piece because of the opportunities it presented for teaching and learning new techniques such as cording, puffing, fringing, maybe or nue`, bargello, etc. Add exposure to new and different materials such as velvets, ribbons, beads, metallics, twists, silks, wools, oh gosh – on and on and on! You can see we are going to be busy. Some classes will overlap, but you must remember that different things appeal to different people so I am trying to have something that will appeal to a wide range. Besides, I’m having a ball!!!!! I hope you enjoy the prospects of what is waiting in the wings! I truly am very excited! So get geared up for another set of great Online Mystery Classes! HOORAY! NEW CLASS POSTING TODAY! 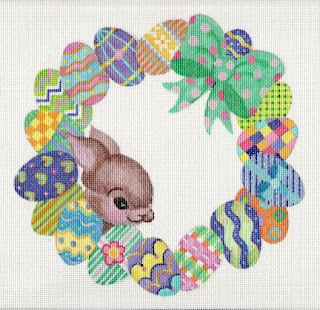 I'm excited today because I get to start a new Online Mystery Class - Easter Wreath. That means I get to share with the participants my vision of how the piece looks to me. This little beauty has so much packed into it. 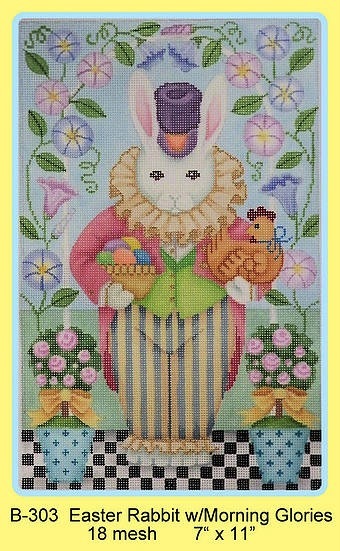 The A.Bradley canvas consists of 17 eggs, a beautiful bow, a cute bunny face and the background. Look at all the possibilities we will be covering in 6 lessons released monthly. Lesson One went out to the secret Facebook Page today! Can't wait for everyone to get started. So now that this beauty is underway, it is time to concentrate on signing up for the next Online Mystery Class - Beijing Butterflies. Actually registration closes tomorrow so get with it if you are interested in joining the others who are already lined up in the secret Facebook Page looking at the materials list and getting prepared for the first lesson to be posted mid-August. The thing about this beautiful canvas is that it is an exclusive! That means you cannot buy it commercially. Leigh Designs created this fantastic beauty just for us! So let me know if you want to join the fun by sending me an email at duodesignsinc@yahoo.com. We would love to have you come on in! BUSY, BUSY ALL THE DAY! Good morning! Yes it is slightly overcast here in Central Kentucky. We got up at 6 am this morning so we could drive from Louisville to get here in Lexington in time for my hubby's tee time. The sacrifices we make for our needlepoint - keep hubby happy and he doesn't notice that the stash is increasing. Heck, around my house he couldn't notice anyway because it is everywhere! And, I love it and he tolerates it. It is so exciting to hear from my Online Mystery Class Easter Wreath participants. Even though registration is 'closed' we had 3 more join us this week. We never turn anyone away if we can help it. The only issue for late comers is that they will have to wait for their canvas and supplies, but they can still enjoy the conversations and read the lessons and dream until then. I also know of some shops who ordered extra so would have them ready to ship out right away and do not need to wait for them to be painted. The shops were all supposed to have their canvases in hand by Tuesday. This means that if the post office cooperated that most of you will soon be receiving your kits from the shops. We have several people starting to share their jubilant receipt in the secret Facebook Page group. It is always very exciting! Our first lesson for this A.Bradley beauty is only 6 days away! 6 DAYS! We thought it would never get here. There is so much punch in this little guy and it is so manageable because the eggs aren't that large so we can whip up those minute beauties and move right on to the next one! Patiently waiting in the wings (ha!ha! - wings - get it) is our next Mystery - Beijing Butterflies! 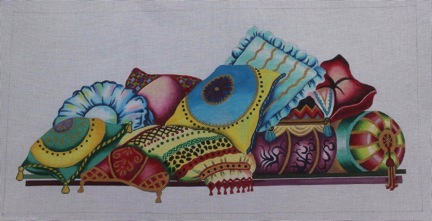 Our exclusive Leigh Designs canvas is so beautiful. I think you will be surprised at how I have approached some of the butterflies. Time will tell. Participants in this class are starting to receive their canvas and beginning to gather materials from the supply list posted on the secret Facebook Page. If you have paid to participate and have not yet received your invitation to the FB Page be sure to notify me right away -there is a glitch somewhere! Registration is still open until July 15. The first lesson for Beijing Butterflies is mid-August! So, until the next time remember to Stitch with a Smile!